60bags coils in one woven bag and 3200-3400 woven bags into one container. 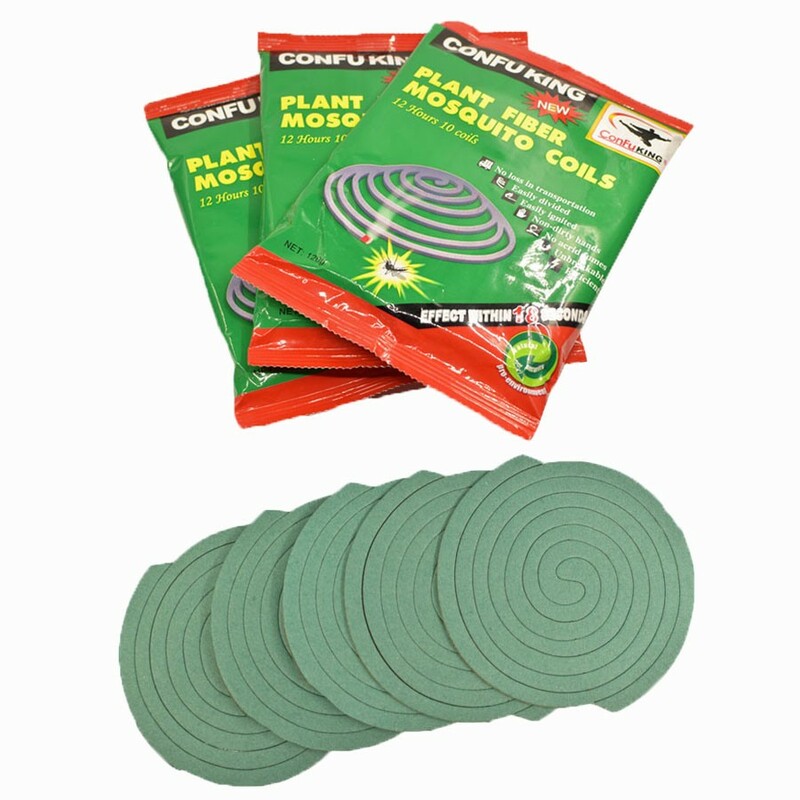 1.Mosquito coils should be stored in a dry, cool, ventilated, room. 2.Keep away from fire and heat. 3. Do not mix with food, beverage, seeds, and inflammable and explosive materials, feed, etc. during storage or transportation. 5. When transport or use do not violently shock, so as not to break. 1. We are not only factory,but also have own brands Confo & CongFuKing and do promotion from Year 2008,can help customer do promotion in potential market with our experience. 2. Provide products to more than 20 countries in most continent,can follow your local restriction and cultural better. 3. 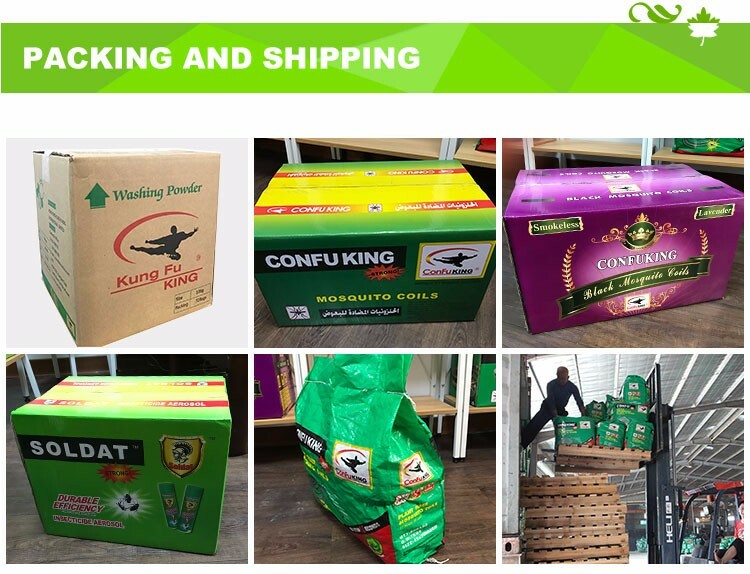 We have own factory in China, Benin & Cambodia,can delivery goods in time and send goods from nearest factory for different area to reduce transport time and cost. 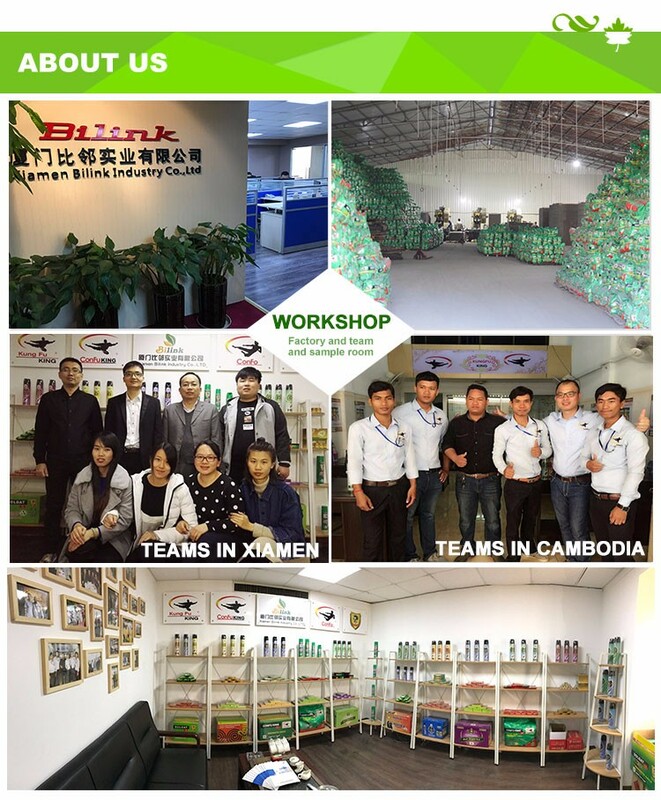 Xiamen Bilink Industry Co., Ltd is a professional manufacturer of pest control chemcials for 8years.We have both factories in China , Benin & Cambodia. 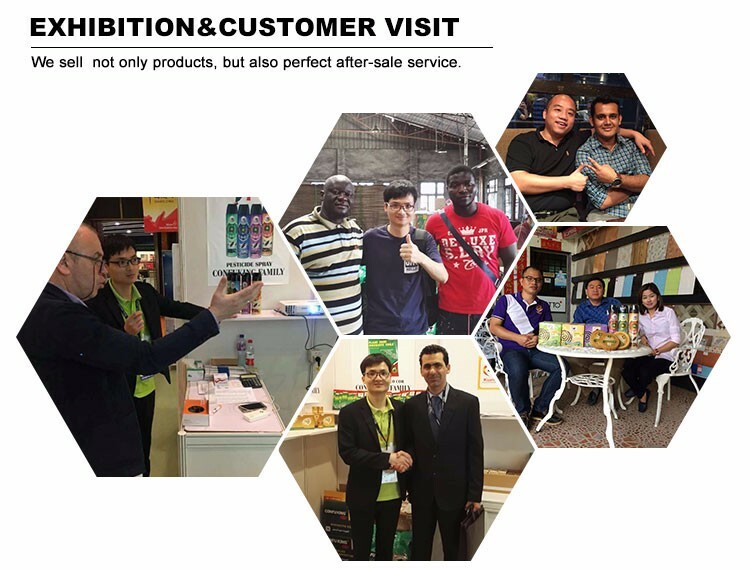 Our brands Confo & Confuking has been running for 8years with good reputation because of good quality,we have overseas factories to provide more efficient service and rapid response. 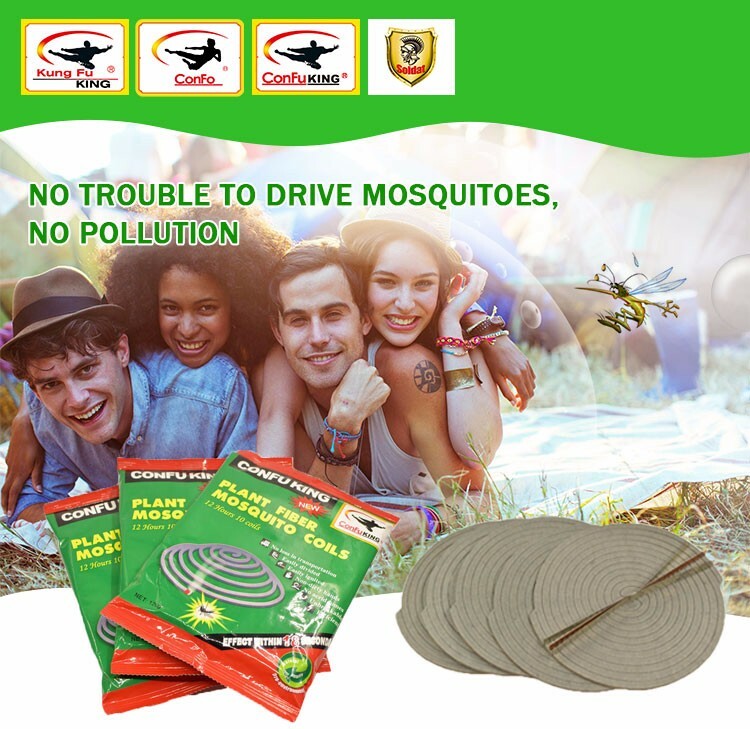 Our main product includes plant fiber mosquito coil, black mosquito coil, electric mosquito liquid, pesticide spray, essential balm, frangrance incense coil, fly repellent and washing powder. We put persistent effort to develop new product, improve the quality by strict quality control system and new technology,equipment.Our Team: 100 factory workers, 5 R&D staffs, 5 Q&C staffs and have a professional logistics company. Company history : Start pest control business since Year 2008 with Benin factoryTogo,Kenyaoffice,and OEM products from other factory,and then build up China factory and Industry co.,ltd since Year 2013,which brings a new milestonefor our group.Since 2013,we begin to invest more resource into R&D,QC,market promotion and now develop more and more good quality,competitive products for our customers. Now our market has expanded from Africa to Asia,Europe with more than 20 countries. We aim to be top brand suppliers for the world pest control industry. 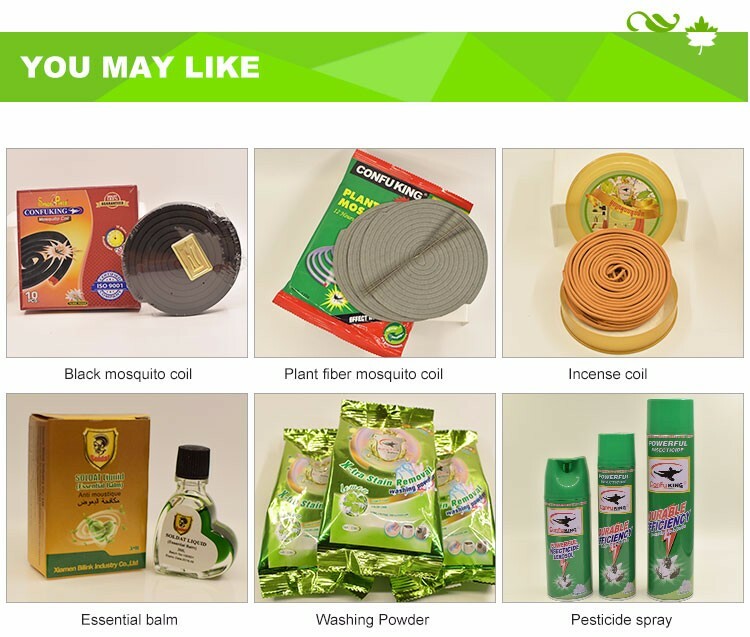 Besides own factory for mosquito coil, insect killer spray, we also purchase products for customer, like used shipping container,container parts, hardware tools. Welcome to contact us if any purchasing demand. --Yes,we do provide OEM and ODM. 3. How about sample and charge? --Sample is free, but freight cost. After the order is confirmed, we would pay back the express cost. --Samples are usually for free,but the freight would be charged. After the order is confirmed, we would pay back the express cost. 6. How long is the lead time? --About 25 days, also depending on quantity. 7. What about the payment? --30% deposit in advance, 70% balance upon copy of B/L, by T/T or West union. 8. What are your main products? 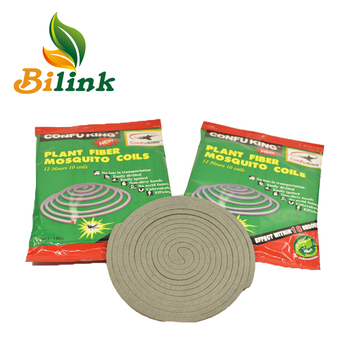 --Our main product includes plant fiber mosquito coil, black mosquito coil, electric mosquito liquid, pesticide spray, essential balm, fragrance incense coil, fly repellent and washing powder. --Please office us detailed information of the product, specific packaging requirements and purchasing quantity.